Placing an online order has never been this easy! 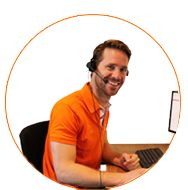 Our modern webshop has many useful tools and gadgets to make it as simple as possible. In a few steps, we will explain to you how our shop works and how you place an order at a few clicks of the mouse. Placing an online order has never been this easy! You simply choose the products and add them to the shopping cart by pressing the green button on the shopping cart. The product is automatically added to your order. After you are done, you press ‘pay’ in the right corner above to continue to the ordering process. First of all, you can review your purchases. When you need to make changes, this is still possible. In the case of Brand-it products with an own design, modifications in the amount are not possible. The amount of prints with an own logo is always indicated in pieces. If everything is correct, you complete the order and continue to ‘payment’. You fill in your invoice data, delivery data and if you wish a reference of the order and then choose your payment method. After accepting the terms and conditions, press ‘pay now’. 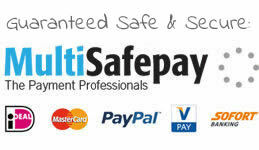 Depending on the chosen method of payment, you are now re-directed to the website of your bank or for example PayPal. Whenever you create an account, it is very easy to follow the status of your order. You are also able to review earlier purchases and invoices and you are able to create an order list for future purchases. With an order list, you can create your own selection easy and fast! You are not obliged to create an account. After you have ordered, we will send you a confirmation via e-mail. As soon as we have received your payment, we will make your order ready for delivery and send it to you as soon as possible. We will keep you updated on the status of your order via e-mail. During the ordering process, you will get the opportunity to register to our newsletter. Via this weekly e-mail, we keep you updated on the newest developments and the newest products. Very useful, as our selection of products increases on weekly basis! Your personal data won’t be shared with third parties. Signing out for the newsletter is easy: you can do this via your account or via a received newsletter (there is a link at the bottom of the newsletter where you can sign out). 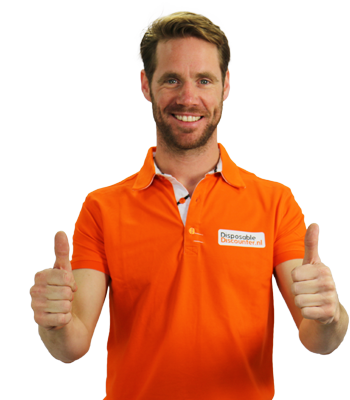 Disposable Discounter is a Business-2-Business (B2B) webshop. All prices shown in newsletters and in our web shops are VAT excluded. However, the VAT included prices are shown as well. On the invoice you receive, VAT included and excluded prices are shown.